Already listed with our Phuket steak house directory? Experience the best place for prime steak anywhere in Phuket. Which is a unique steakhouse with quality service? 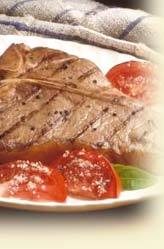 We provide steakhouse's information on menus and directions. The biggest range of quality steaks contains in our listing, find out now! Churrasco Phuket Steakhouse is located on 'Restaurant Row' in Phuket's landmark Jungceylon Mall in Patong. With its South American theme, the restaurant features a wide variety of fine imported Wagyu and Black Angus.